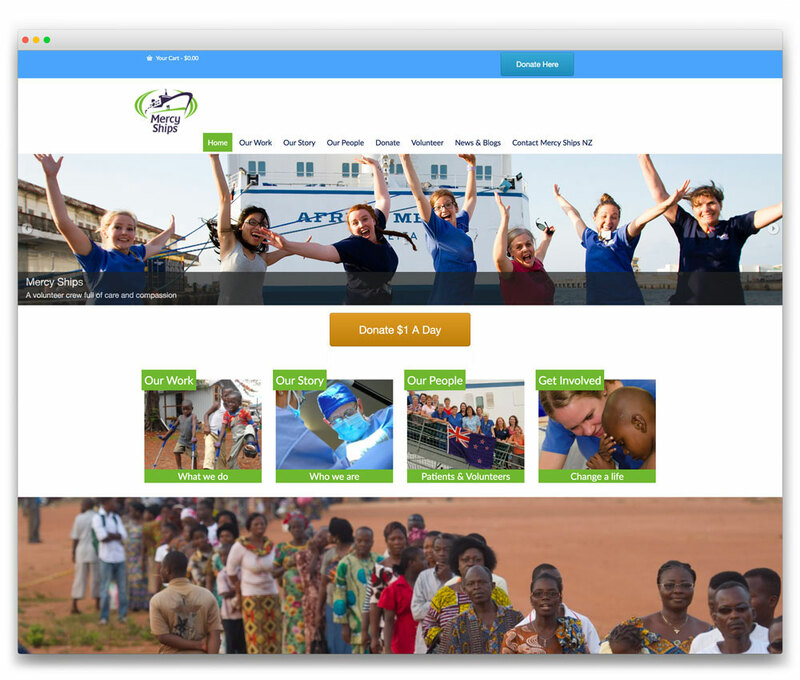 BRIEF: Mercy Ships New Zealand’s requirements were a new responsive website packed full of functionality that their team could manage in-house. The new site needed to look good, be appealing to potential donors, be full of useful information for volunteers, and have secure on-line donations and ecommerce functionality. SOLUTION: We installed and heavily customised a premium WordPress theme, to ensure the website could provide everything that was required. We also provided a set of written administration instructions and gave one-on-one face-to-face tutorials to ensure the Mercy Ships administration team could operate and maintain the new site. OUTCOME: A nice website that is a key vehicle in attracting funding and volunteers for this wonderful charity, and increasing awareness of their work.